It may seem slightly too early to be talking about winter boots when I'm jetting off to Cannes on Friday, yet the weather outside is proving otherwise... The whole 70s trend hasn't left us yet, leaving us with Autumn versions of our favourite summer trends; patchwork suede in burgundy and forest green, bohemian blouses, skinny scarves, suede trench coats and my favourite - snakeskin boots. This pair come out at 10/10 for me. After seeing them in Selfridges last week, it has confirmed that they are the perfect investment in terms of colour and the chunky heel makes them seem comfier than any skinnier counterparts. They are sooo perfect, I love them! 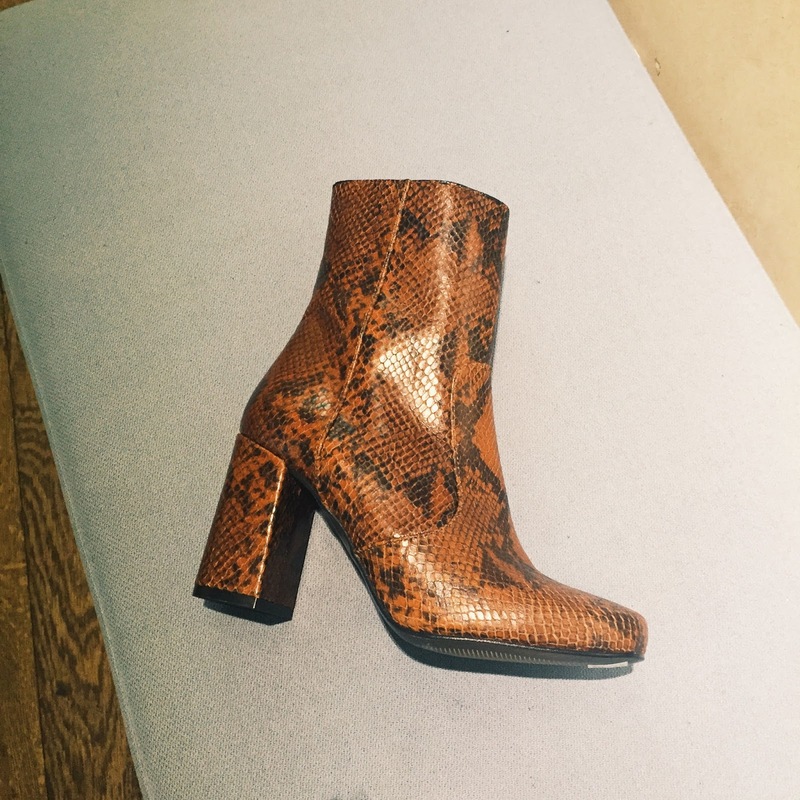 I really want a pair of snake print boots.